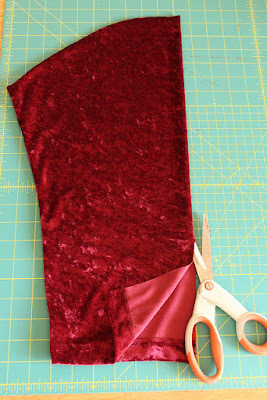 I stole this idea from fellow refashioner Laura of the Accidental Seamstress. 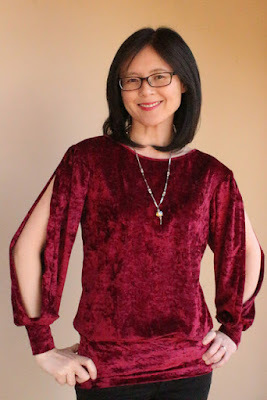 She made a fabulous cold shoulder blouse from a simple dress that made me green with envy. 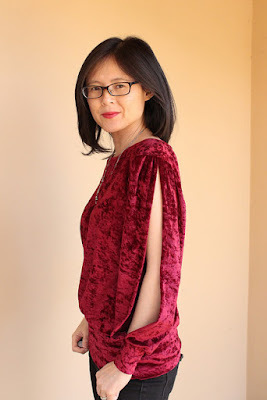 It was a basic and easy refashion, but the end result was so cool I didn't recognize the original piece. I left her a comment letting her know I was going to copy her, and here's my version. I used a 90's stretch velour shirt I found at the thrift store for $4. 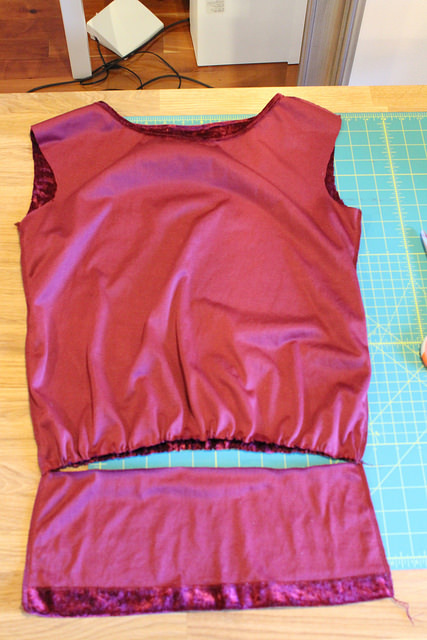 I reshaped the bodice with new armholes, took in the sides and added a dropped waist. Cut open both sleeves and hem the sides. Gather the bottom of the sleeves and attach to new cuffs. 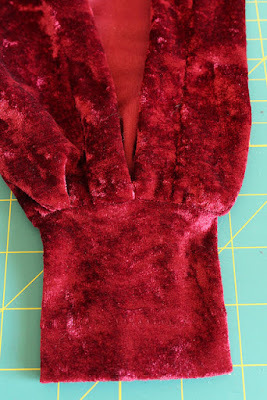 Gather the top of the sleeves until it's the same size of the armhole. 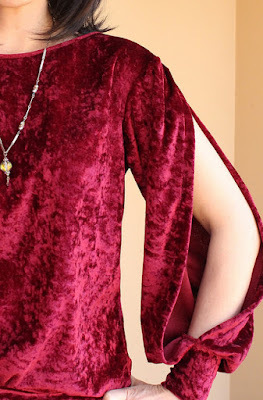 With right sides together, serge the sleeve to the bodice. Read all about how to refashion a velour top into a split sleeve blouse on my blog www.trevorlovesmommy.com. By the way, Laura was inspired by fellow refashioner Beth Huntington and her book The Refashion Handbook. 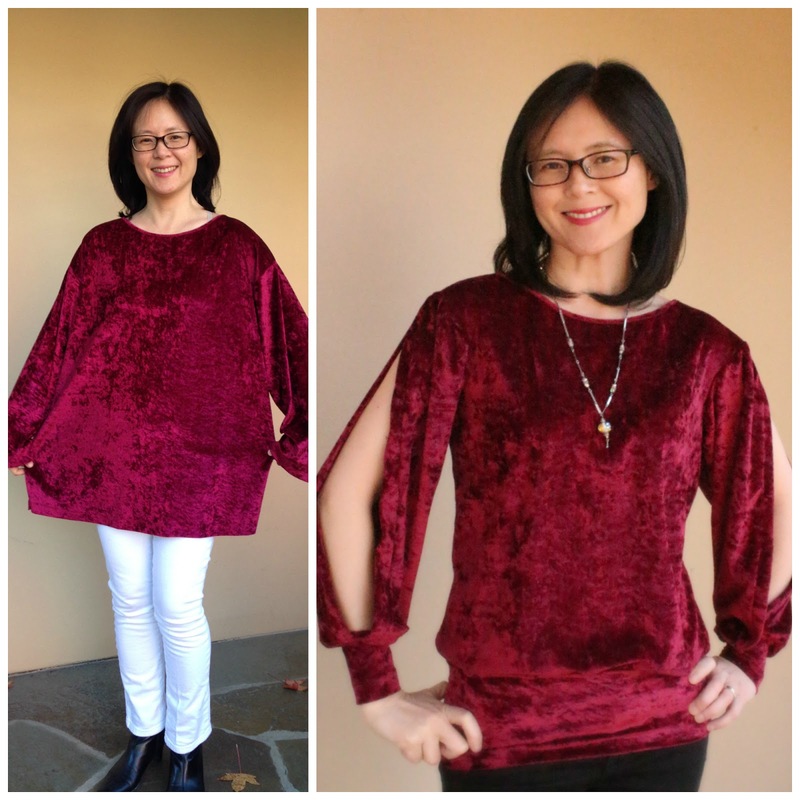 I got her book for Christmas, and it is chocked full of creative refashions. I can't wait to get started on her projects. 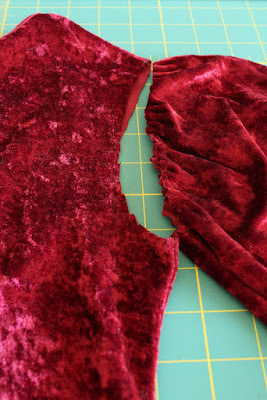 I got a bunch of refashion books for Christmas, and it is by far my favorite.